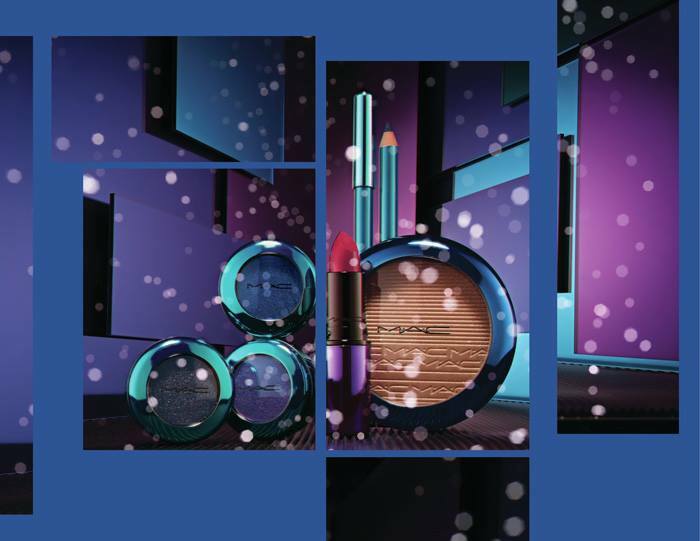 MAC's Magic Of The Night Collection is a true party collection. 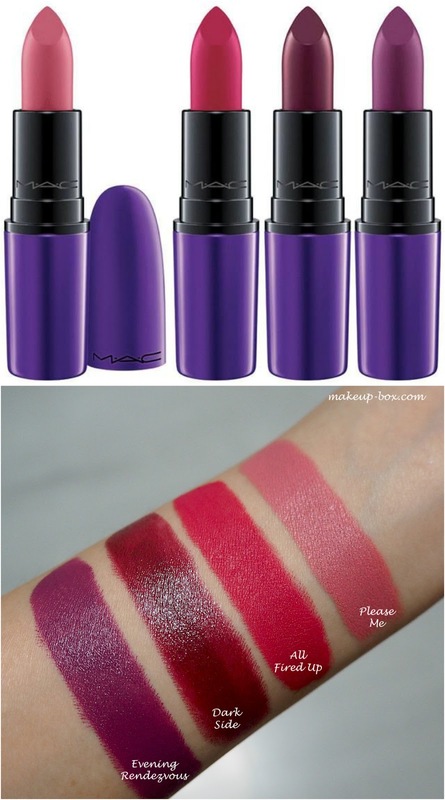 There is nothing here that is soft and subtle or especially day-appropriate, aside from maybe Please Me lipstick. 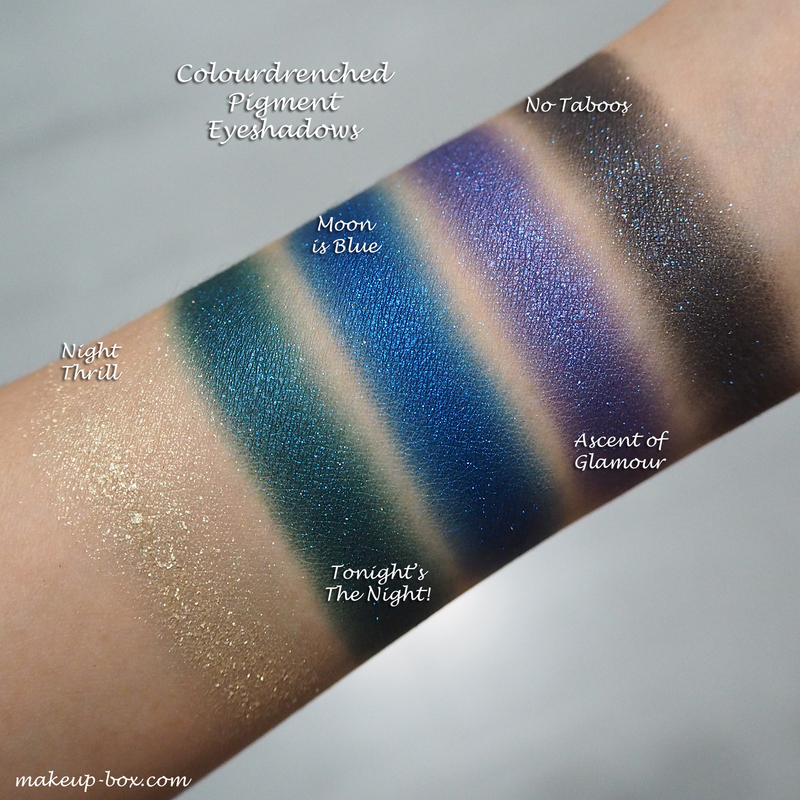 If you like smoky sultry colors shot through with beautiful sparkles and shimmer, high-sheen skin, or intense lip shades, this would be a good release to check out. My favorites in the range are the 4 lipsticks. Really, I like all the shades. They’re all fab. Especially All Fired Up, an intense fuchsia red. It looks a little more pink/cool-toned in press visuals but the actual shade is slightly warmer/redder. Evening Rendezvous is a daring plummy-violet, and Dark Side is just a great Fall/Winter noir lip in a creamier texture. Please Me is beautiful but a re-release (or permanent in some markets), and I do recommend the shade for girls who like softer lips. 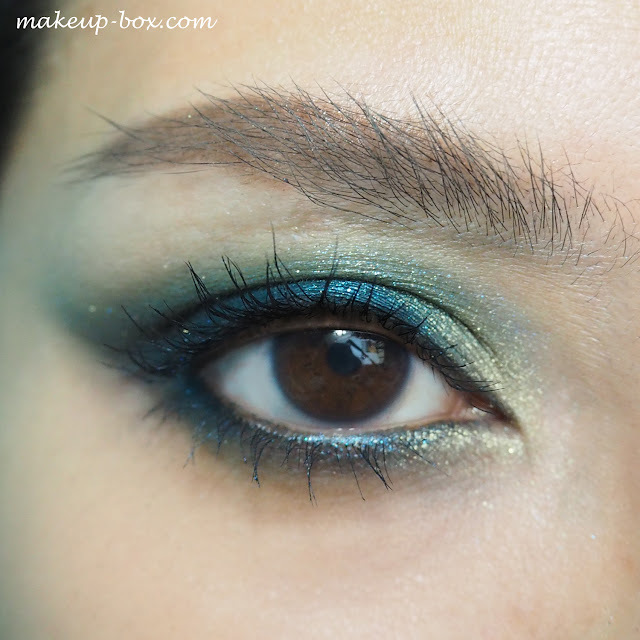 The 5 Colourdrenched Pigments are pretty interesting. 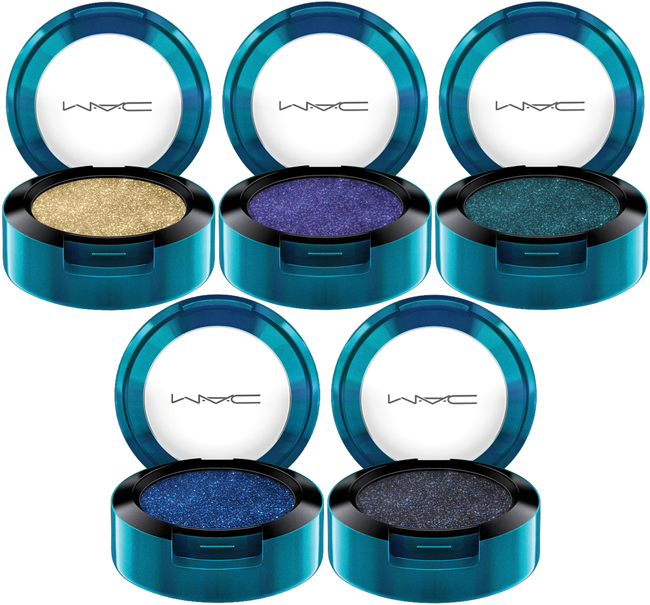 I thought they would be like Luster shadows; crumbly and un-pigmented. But they’re dense, slightly creamy-feeling sparkle shadows suspended in matte bases. The only thing is you can't be color-shy. They are extremely bling. My tip for using these is to pack on a layer with your finger for maximum intensity first, and then using a soft brush to blend out the edges. These don’t get ruined when touched with fingers, the way some of the other regular shadows do. But if you want to use a brush, use a flatter, slightly firmer brush rather than a soft fluffy one so it grabs more pigment. 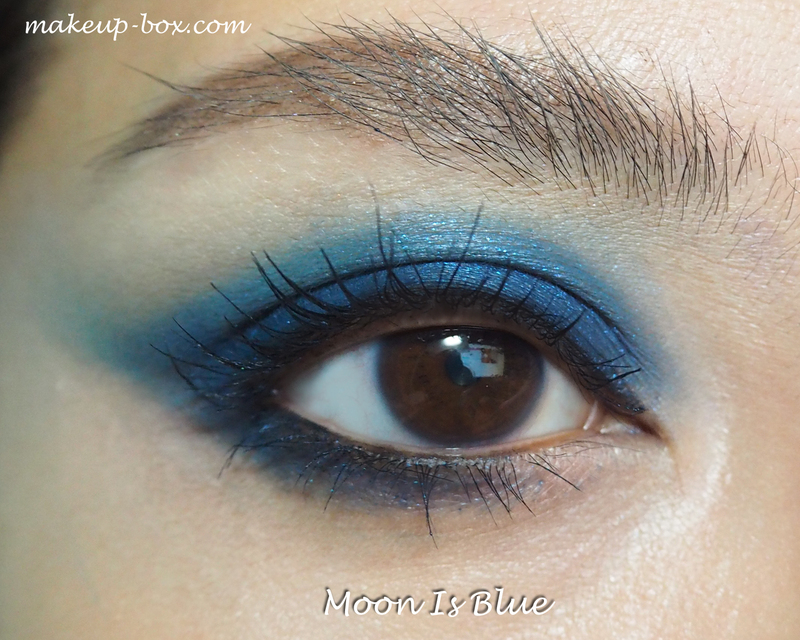 All the eye looks I have here were done without any base or wetting the shadows. Night Thrill, the soft blonde gold, is slightly crumbly swatched on the hand, but packed on lightly in a small area like the inner corners, or down the center of the lids, it goes on beautifully. 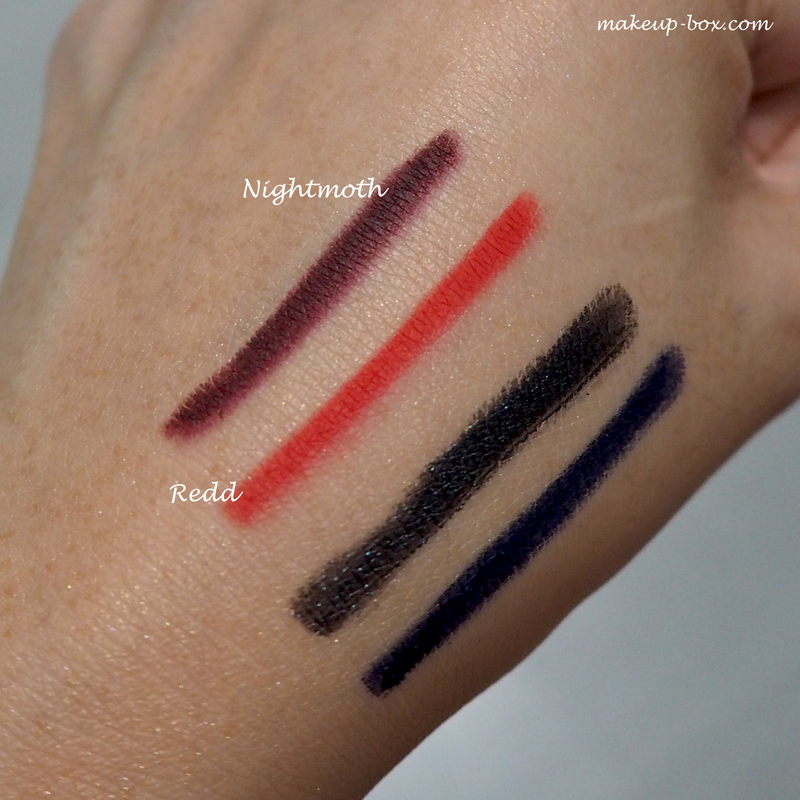 I decided to do additional eye swatches because this is a pretty new formula that most people aren't familiar with, and I know some of you are afraid to buy shadows based on wrist swatches since the payoff can be different from when applied to the lid with brushes. 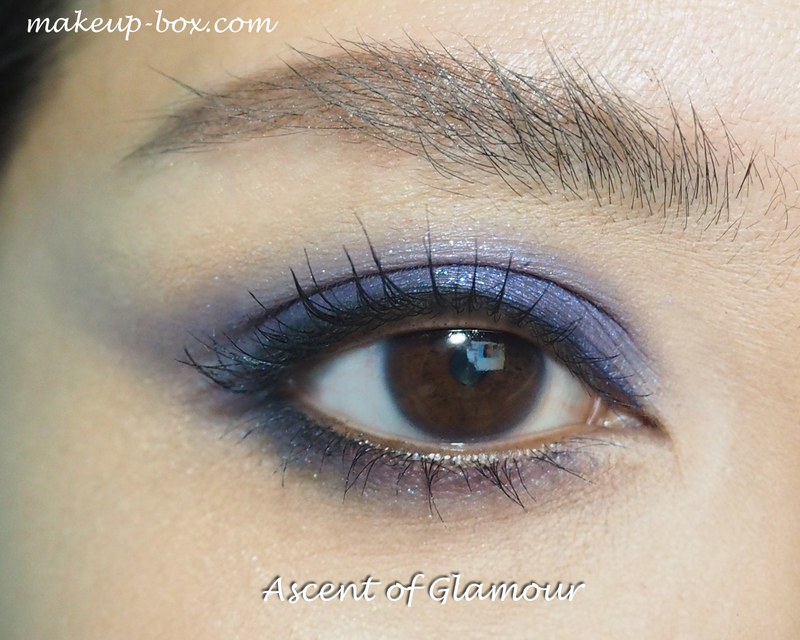 I would say only Ascent of Glamour (violet) came off a little softer on the lids, but that was also because I didn't spend much time building it up. And again, I think you get the best effect applying this formula with a finger first. There are 4 pencils with this collection. 2 Lip Pencils, and 2 Eye Pencils. 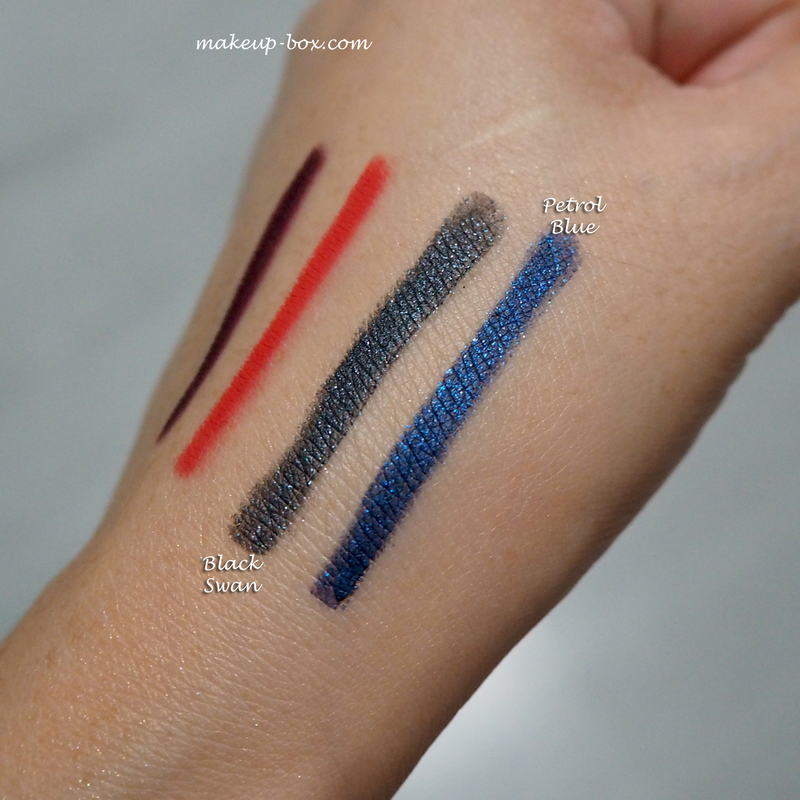 I think the 2 sparkly eye pencils are beautiful. Very smooth and buttery, and the sparkle in them is gorgeous. But I find the shadows compete with them, so you might not need both, or at least you don’t need to wear them together in the same look. As for the lip liners, it really depends what shades of lipstick you own and which colors you need. They aren't exactly coordinated with the lip colors in the collection (although Nightmoth and Dark Side go together nicely), so don't feel you need to buy them together as a set. The In Extra Dimension Skinfinishes are more of a pass for me personally. Not because the formula is not good. They are gorgeous and smooth. 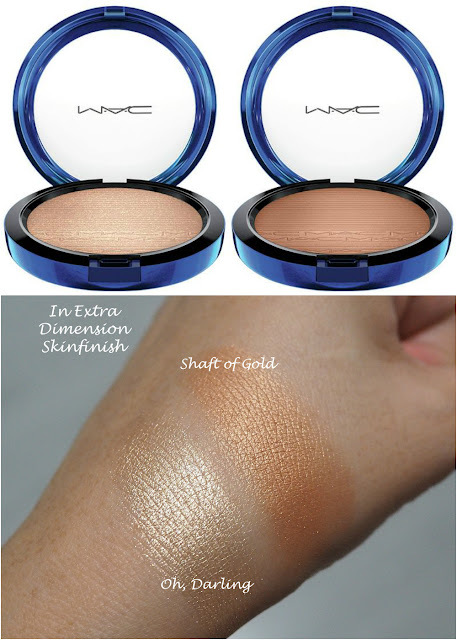 But the tan shade, Shaft of Gold, is a little on the brassy and orange side in my opinion. That means it only looks good on some deeper skintones. For lighter to medium skins, it can look quite orange. As for the paler shade Oh, Darling, it’s a beautiful champagne but very metallic and not as fine-grained as I expected. If you want a strobed, natural-glow effect, this won’t give you that. It’s a little more disco.